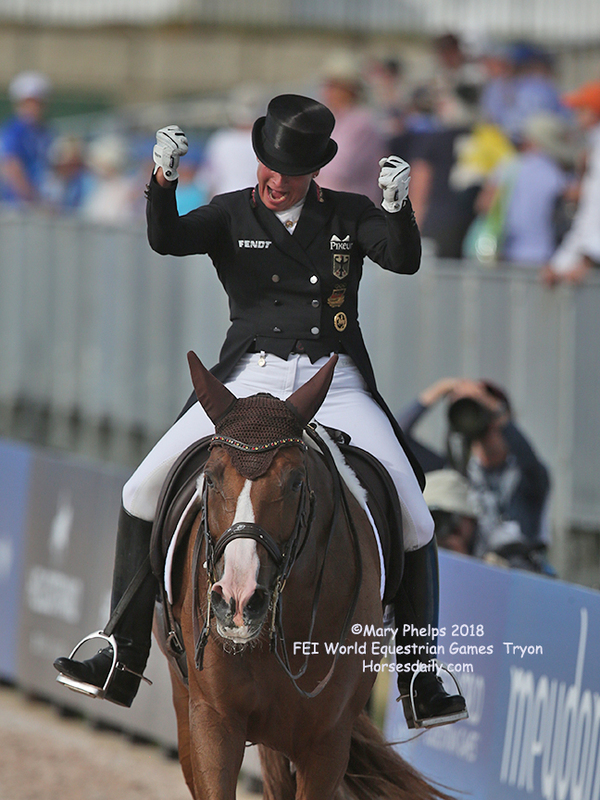 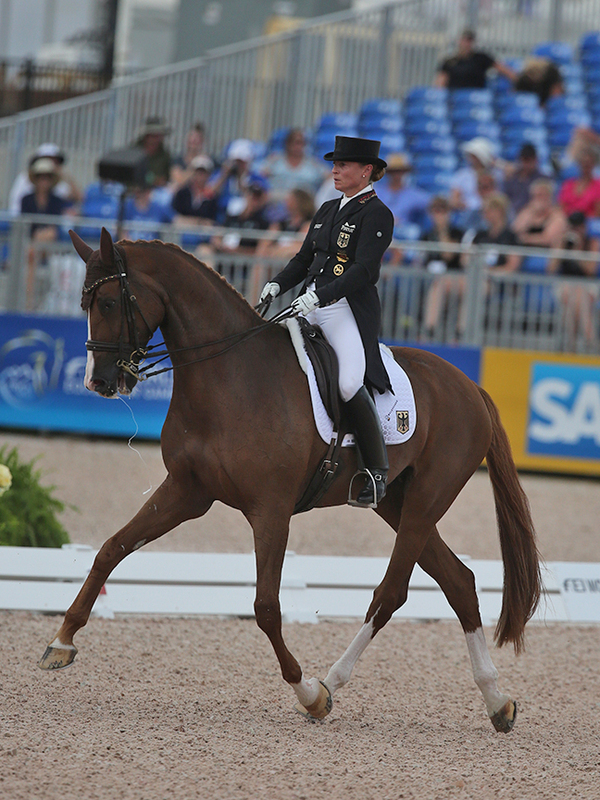 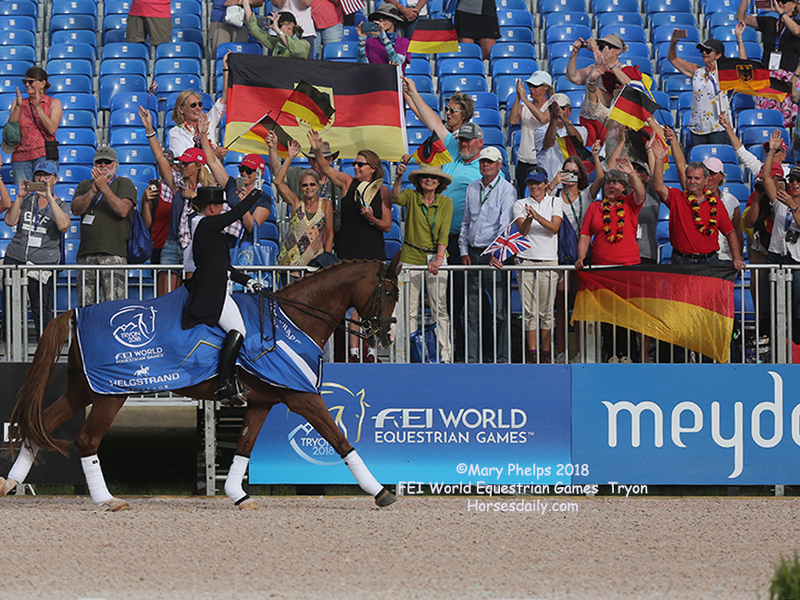 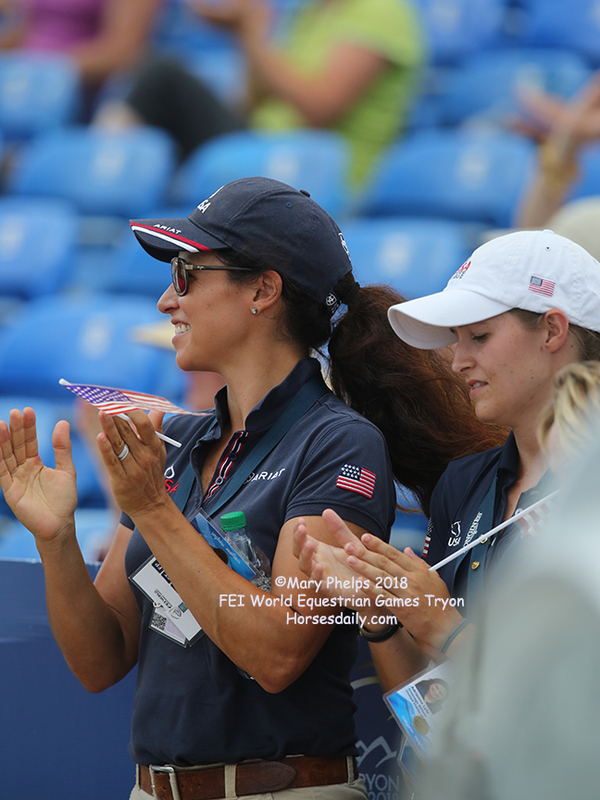 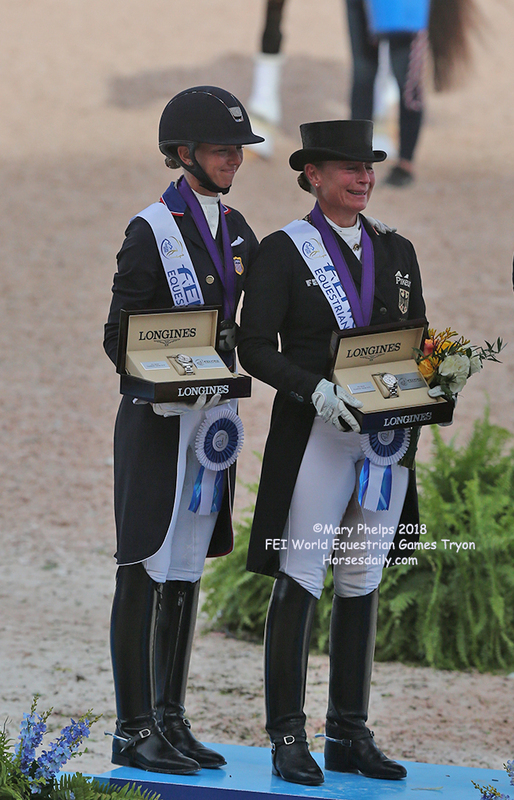 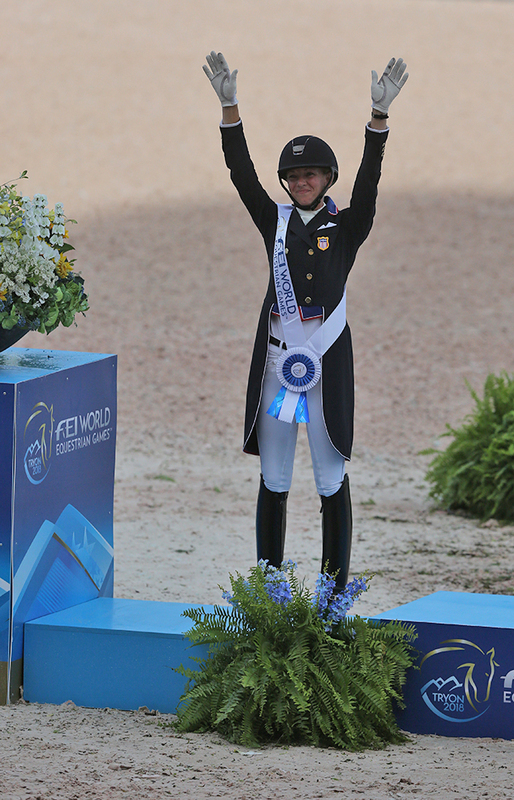 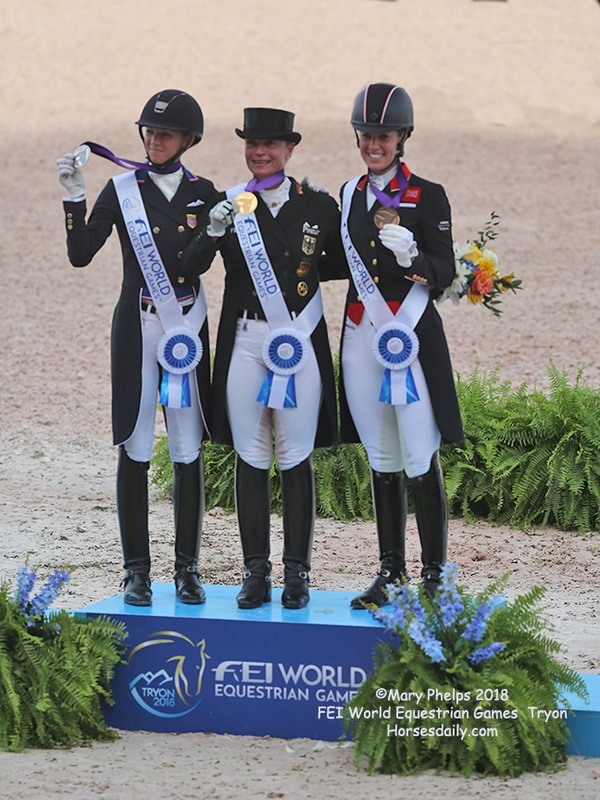 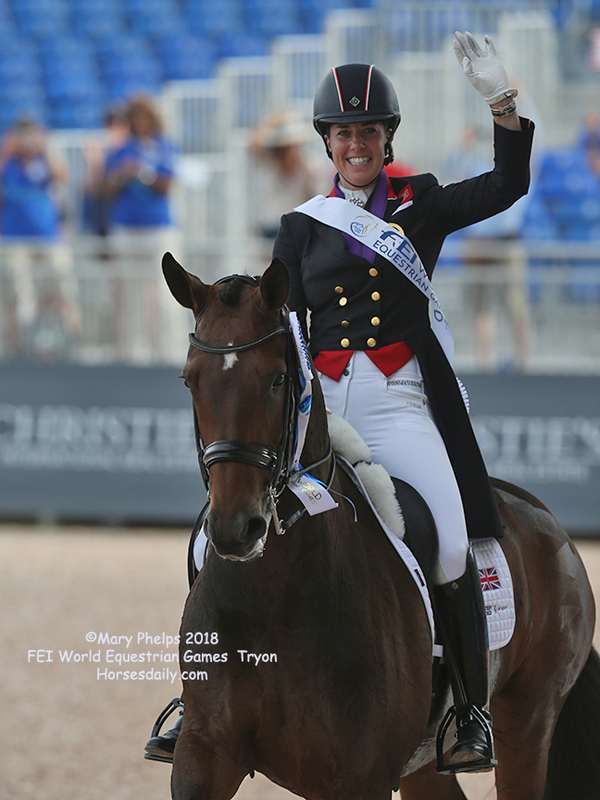 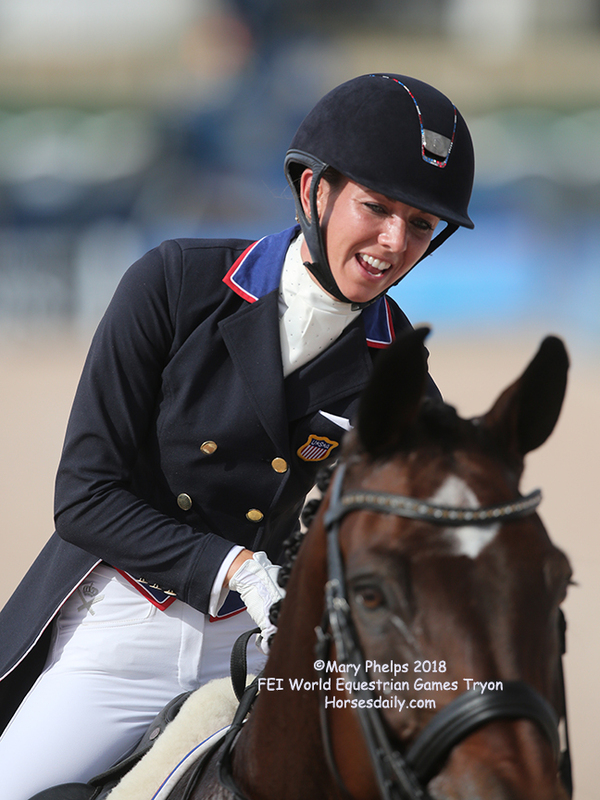 Germany’s Isabell Werth (49) showed exactly why she is the most decorated rider in the history of equestrian sport when claiming the Helgstrand Dressage Grand Prix Special title at the FEI World Equestrian Games™ 2018 in Tryon, USA today. 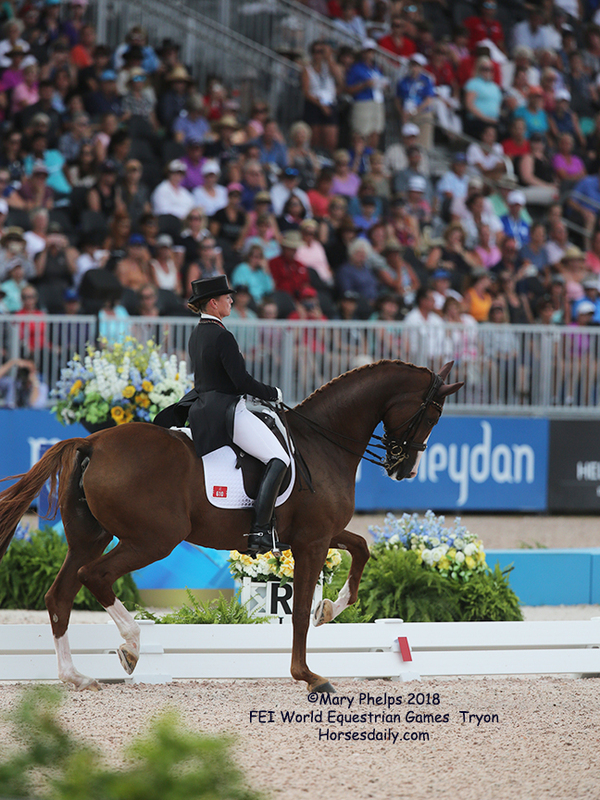 Bringing the 14-year-old Westfalen mare, Bella Rose (by Bellisimo), back to good health and fitness after an injury sustained four years ago has been a long, slow process. 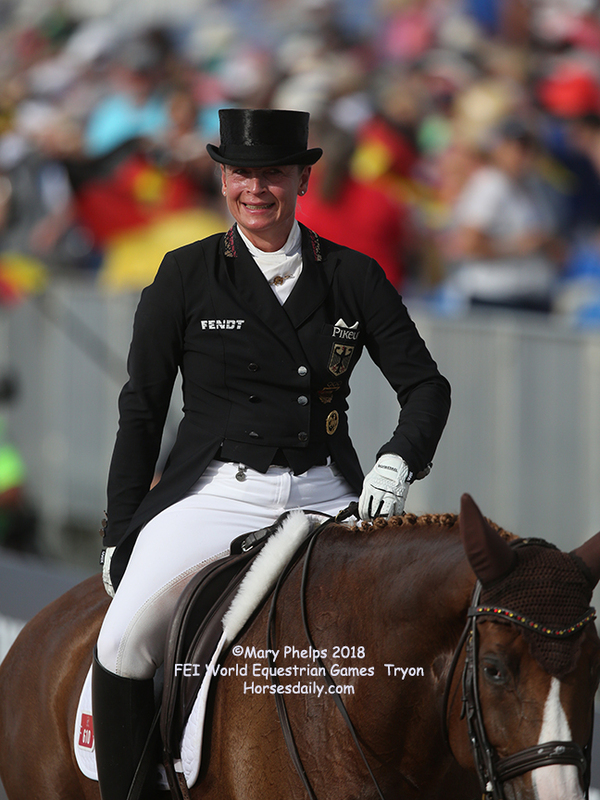 Her faith and dedication was repaid in full this afternoon when she topped the Special podium for the third time in the 28-year history of the Games. 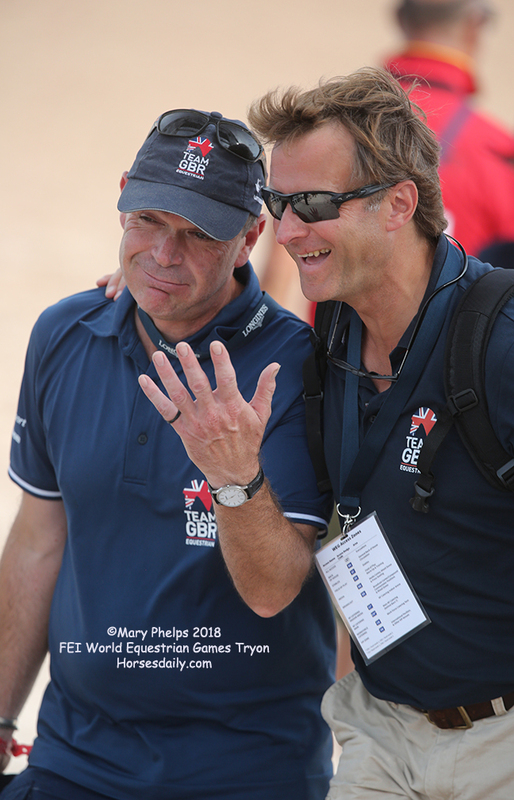 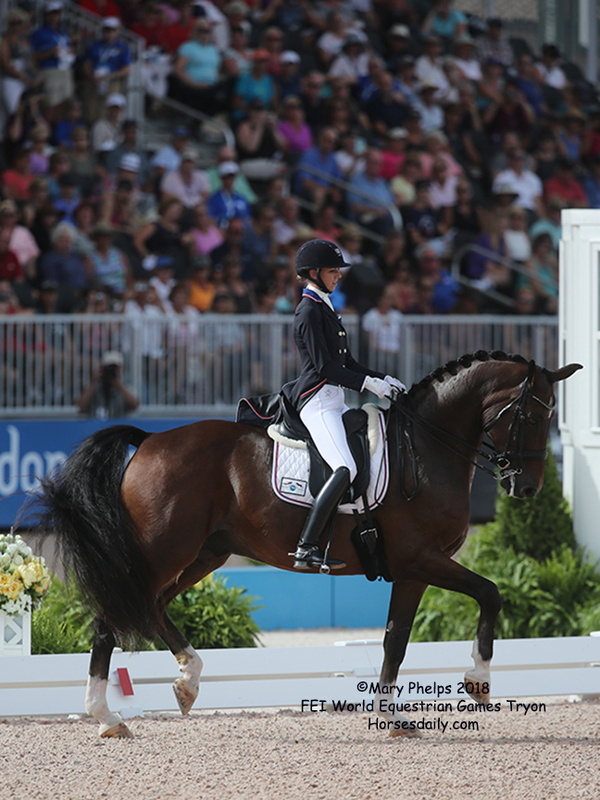 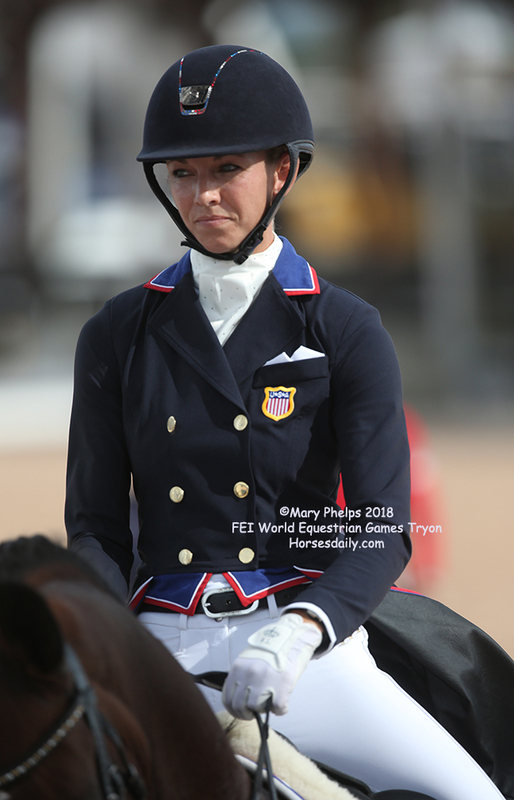 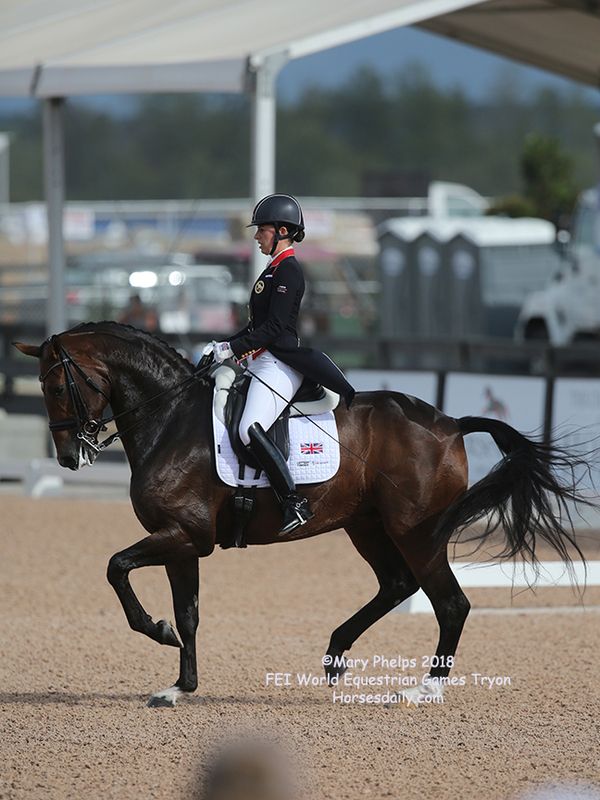 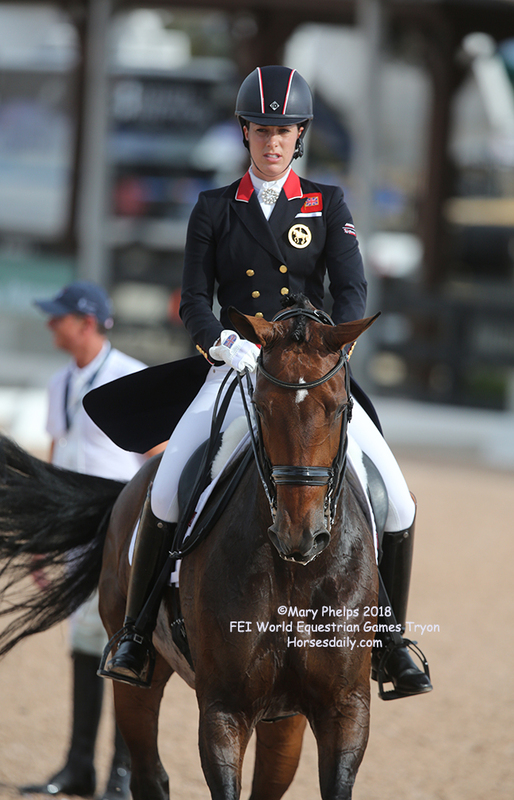 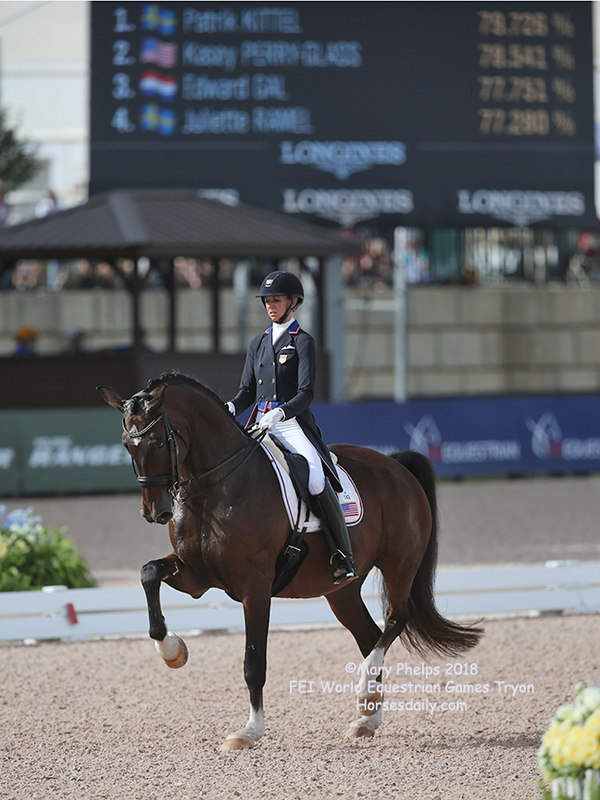 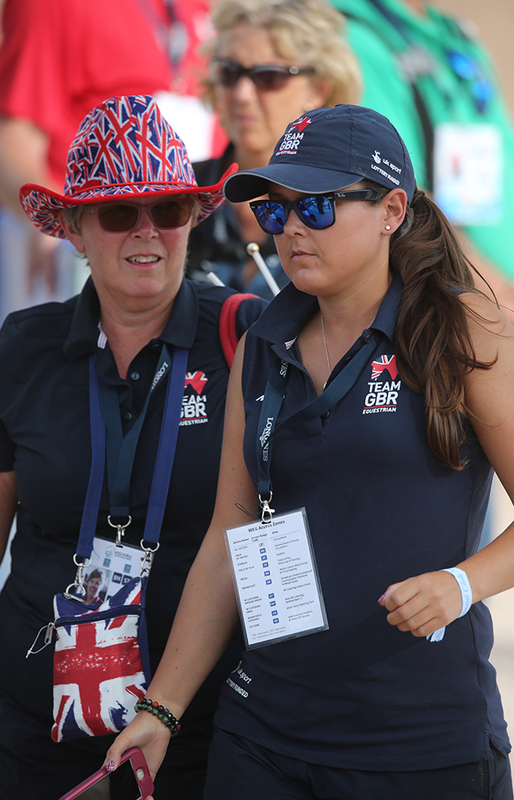 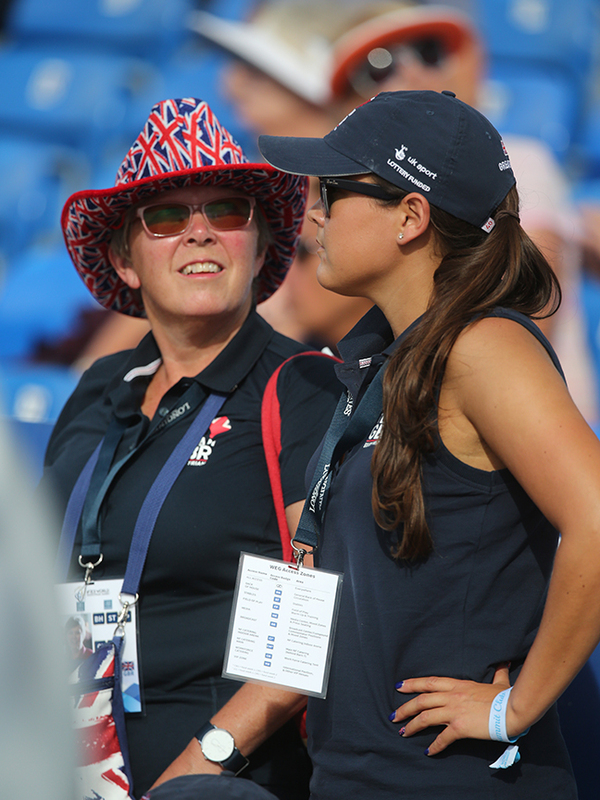 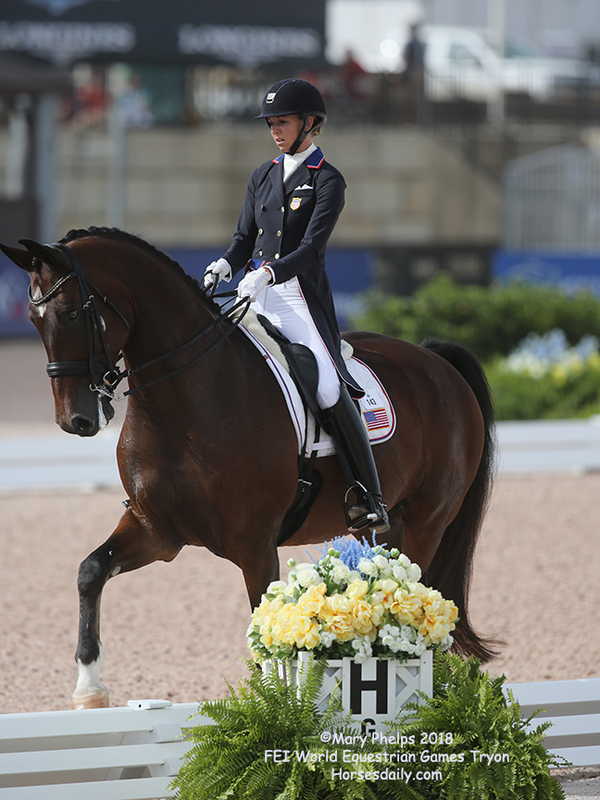 She was under maximum pressure when last into the US Trust arena, with America’s Laura Graves and Verdades sitting in gold medal spot ahead of Great Britain’s Charlotte Dujardin and Mount St John Freestyle as she set off down the centre line. 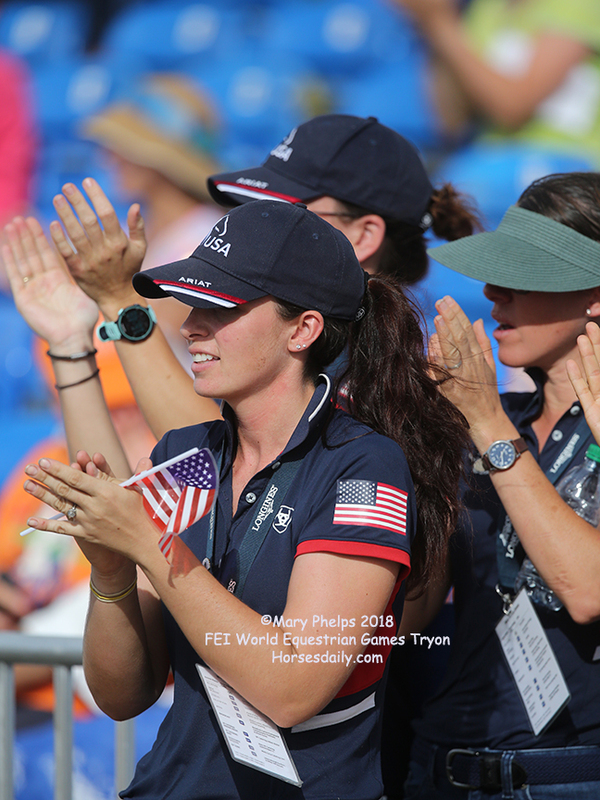 She had an added incentive to nudge them further down the podium however, because her great personal friend and patron, Madeleine Winter-Schulze, broke her leg in a fall shortly after watching Werth help win team gold yesterday evening. 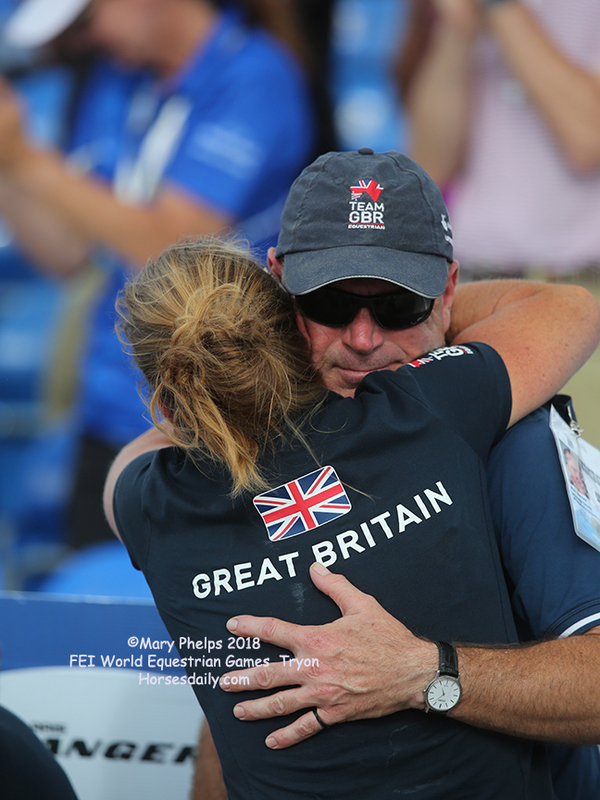 “I feel so sorry for Madeleine, she is in hospital so I said I’ll try my best to bring the gold medal to her this evening with a glass of champagne!" 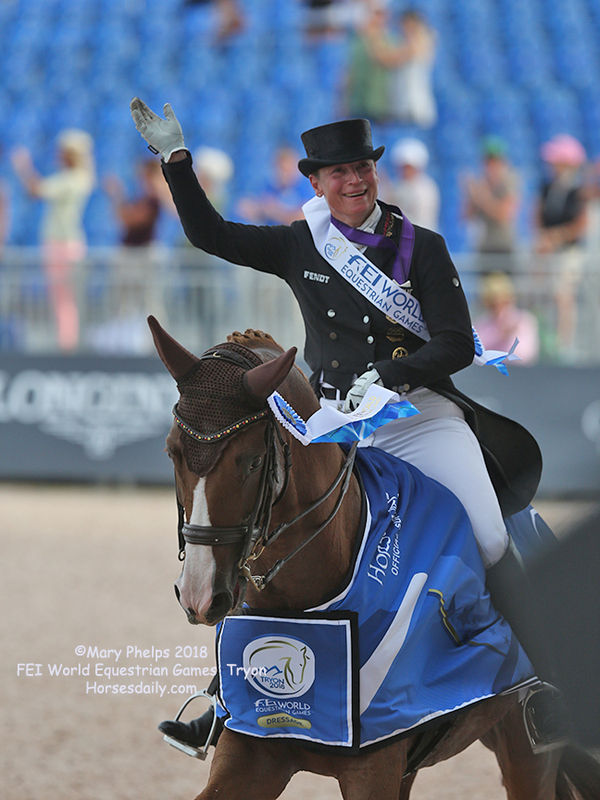 said the lady whose golden collection is second to none. 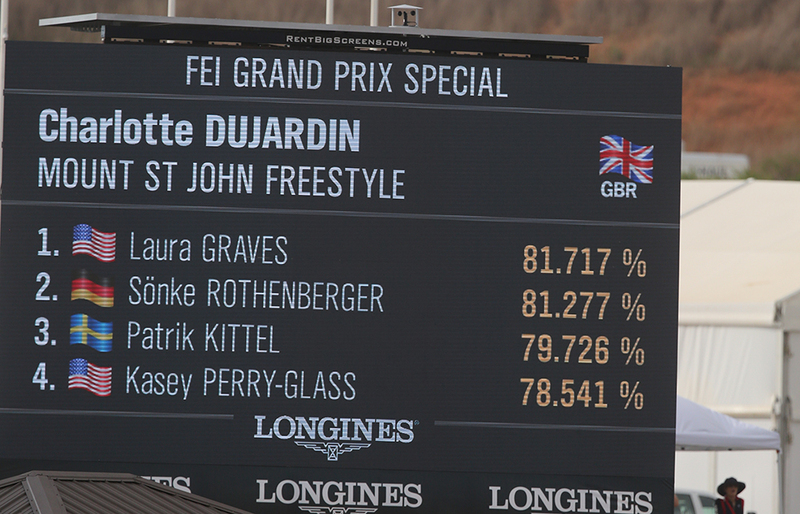 Laura Graves set the target with an extraordinary performance from her 16-year-old KWPN gelding (Florett As) she has owned since a foal. 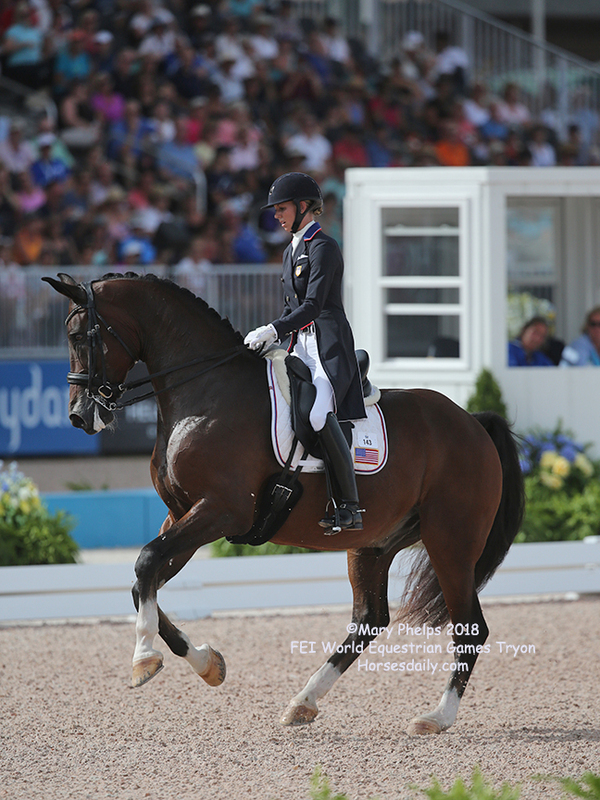 As the fourth-last to go of the 30 starters, with clockwork rhythm and show-stopping style they posted a mark of 81.717. 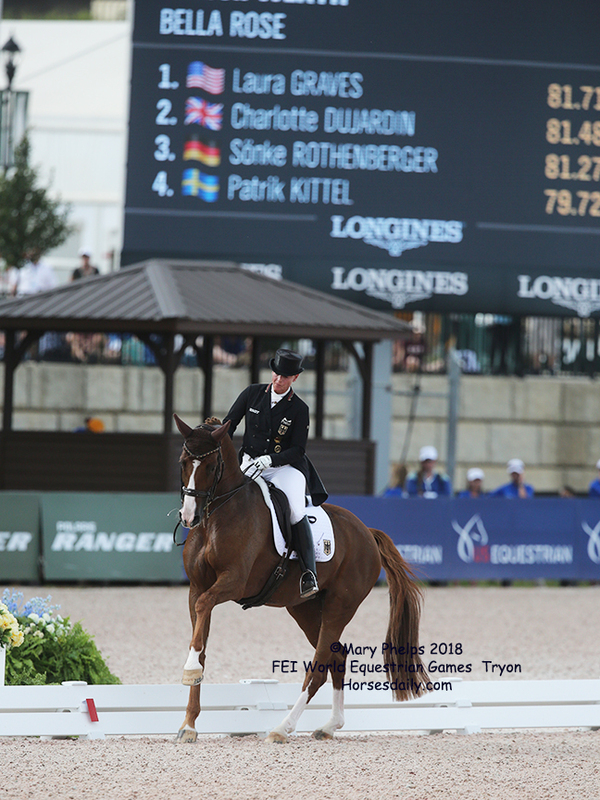 Werth’s team-mate Sonke Rothenberger (23), who came so close to toppling his legendary compatriot when taking individual silver at last summer’s FEI European Championships in Gothenburg (SWE), looked likely to put up a mighty challenge when next into the arena, but a couple of mistakes saw him having to settle for a score of 81.277. 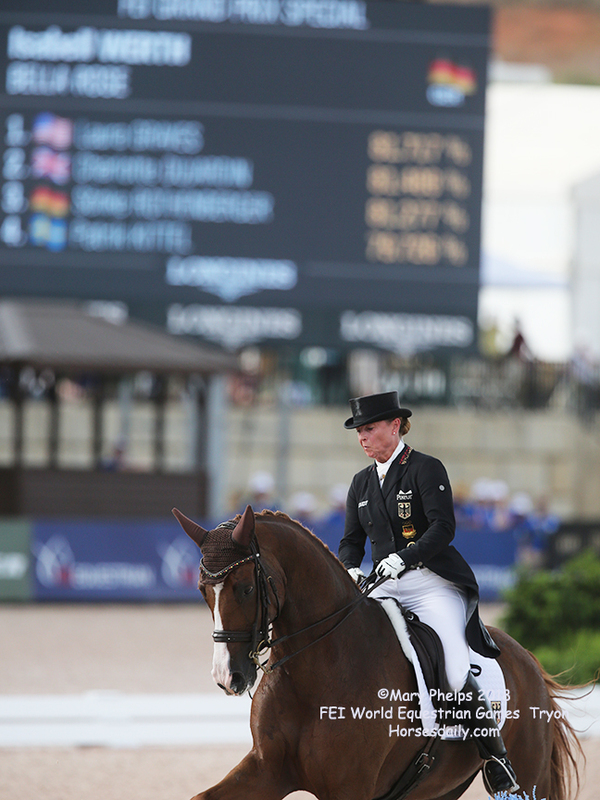 And then Dujardin overtook him when posting 81.489 to slot temporarily into silver medal spot. 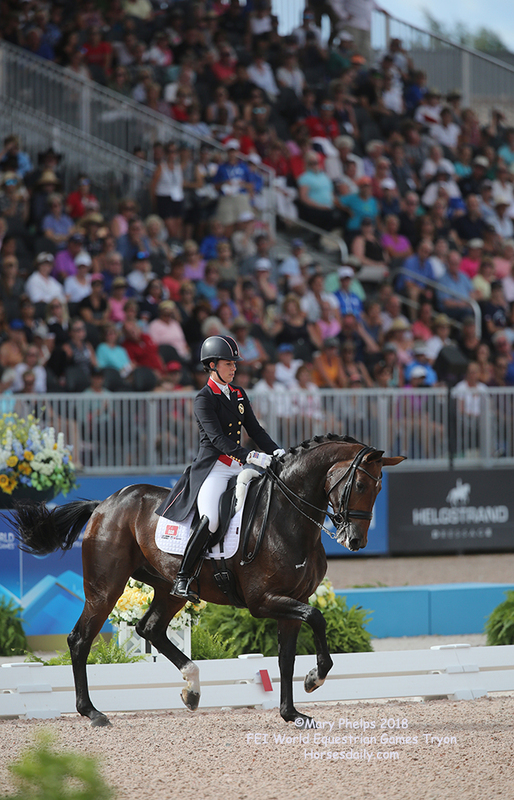 The British rider was the undisputed queen of the sport during her record-breaking partnership with the great Valegro which came to an end when the horse was retired two years ago. 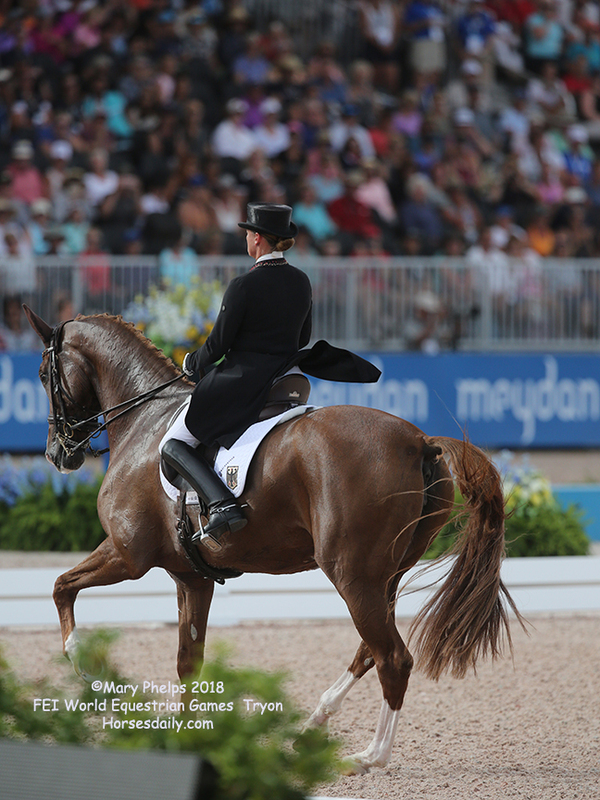 So she’s been in the wilderness for a while, but today she stepped right back onto centre stage when scoring 81.489 with a mare that is only nine years old. 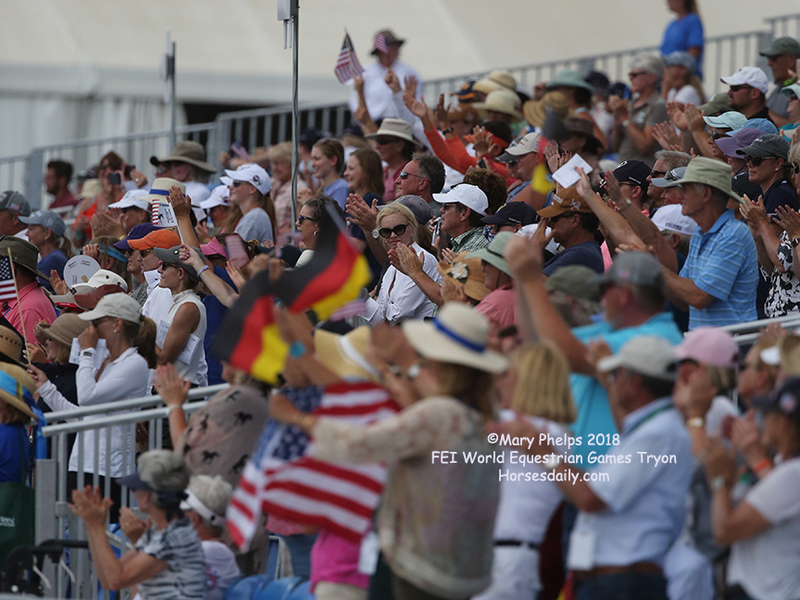 In just her thrid Grand Prix Special ever the young mare by Fidermark demonstrated a work ethic and bravery as she performed in the electric atmosphere of the ne World Championship venue in Tryon. 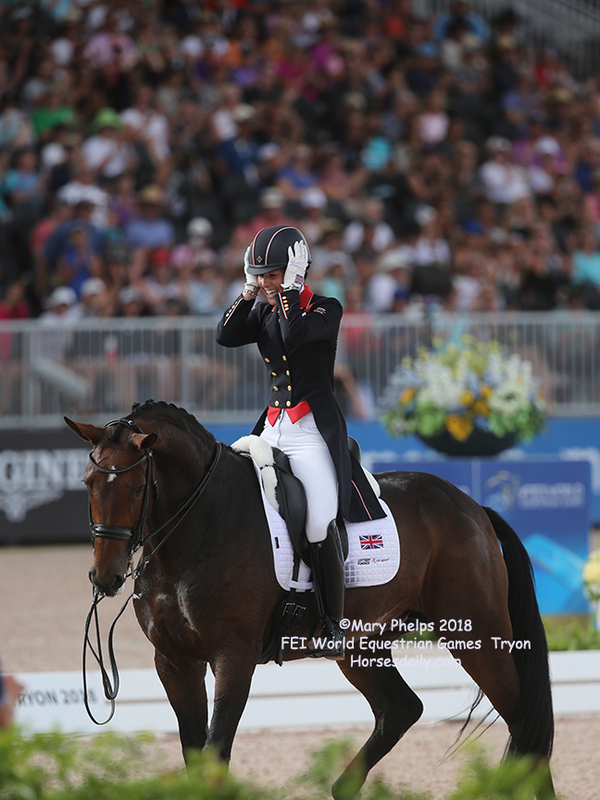 It’s clear this is a horse whose potential is only beginning to be realized, so there’s a shiver of excitement running through the sport after today’s result. 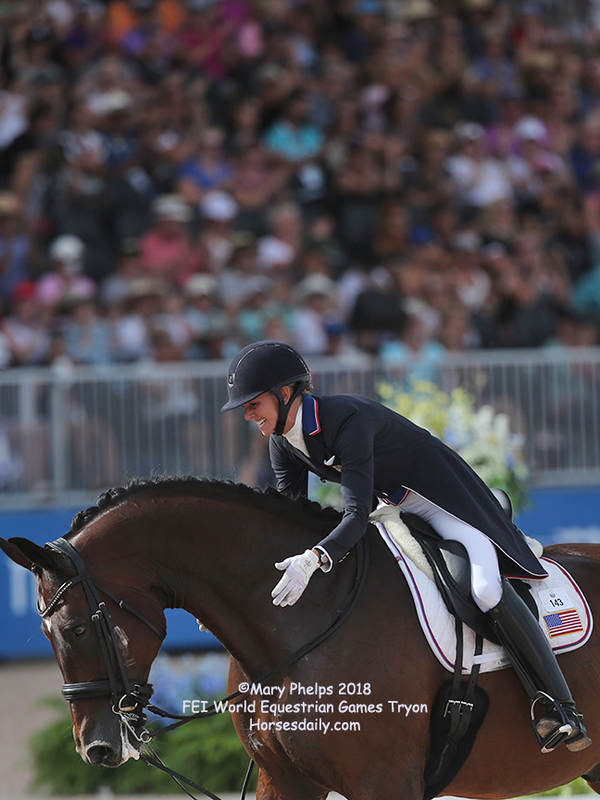 Dujardin knew she had to "up her game" to prove that potential, and she did it with a breathtaking performance that suggests there’s so much more to look forward to. 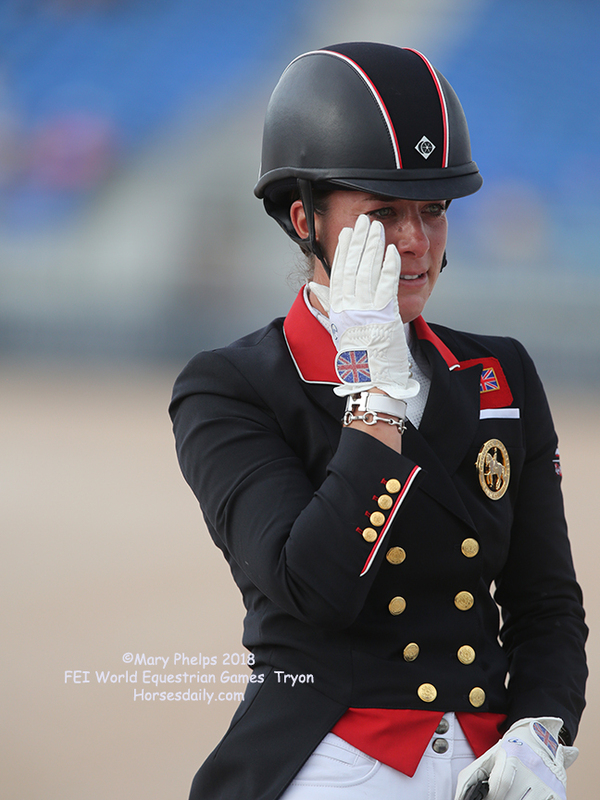 “I felt I’d nothing to lose today and I knew I had a tough job. 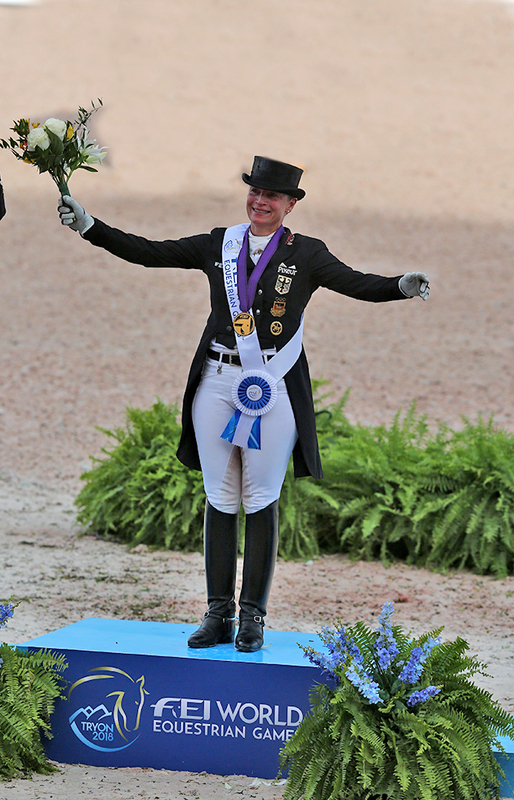 I was like the jam between the German sandwich, with Isabell at one end and Sonke at the other!” she said. 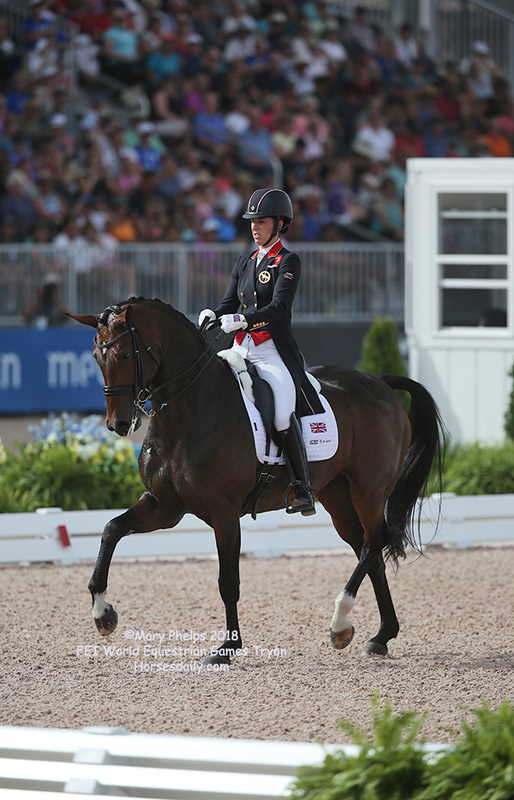 Dujardin has the last word though in talking about her mare the British rider said “when she’s stronger and more confident I’m going to give Isabell a run for her money - we’ll be back fighting!”. 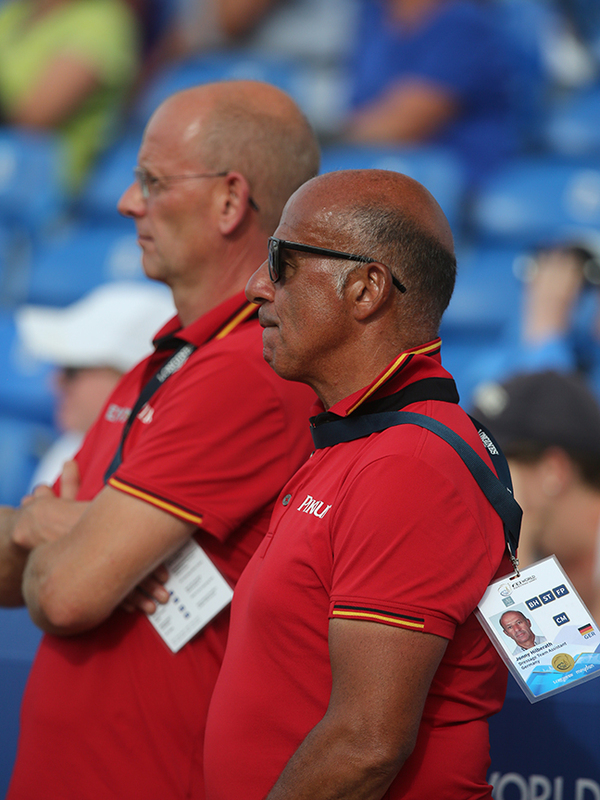 Werth just smiled.